Police say 29 year old Eric Holder is wanted in connection with his death. 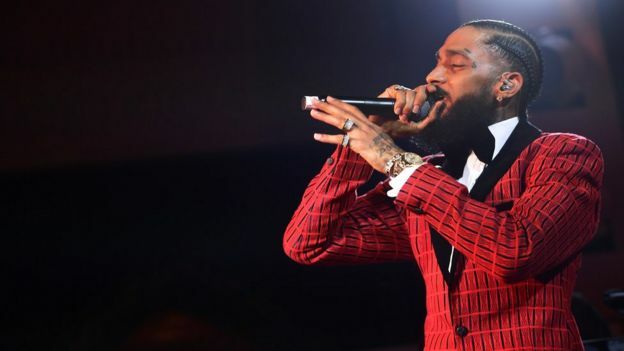 Search results for “Nipsey Hussle” on YouTube include several such videos, some of which have accumulated hundreds of thousands or even millions of views. Adherents claim – baselessly – that the rapper was murdered because he was working on a documentary about Dr Sebi. YouTube has told the BBC that these videos do not violate community guidelines, and that content expressing controversial beliefs is permitted on the website. “False information is not necessarily violative, unless it crosses the line into hate speech, harassment, inciting violence or scams,” YouTube said. The video-sharing website added that it has developed features to steer users in the direction of news organisations. On Twitter, the speculation propelled the herbalist’s name into the top trends, with some noting that former TLC musician, Lisa ‘Left Eye’ Lopes, had been visiting Dr Sebi in Honduras before she died in a 2002 car crash. Lisa ‘Left Eye’ Lopes, John Travolta and Michael Jackson are all reported to have been clients. Bowman claimed to have developed a miraculous herbal cure for a host of “pathologies”, including “arthritis, asthma, cancer, AIDS, diabetes”, and placed adverts to that effect. In 1987, Bowman reached an agreement with the attorney general’s office in New York that stopped his USHA Research Institute from making any therapeutic claims. Giving evidence to a 1993 congressional hearing, New York assistant attorney general Shirley Stark described Bowman’s assertions as “a particularly glaring example of unsubstantiated therapeutic claims”. Bowman died after contracting pneumonia in 2016, aged 82. He was in police custody in Honduras after being arrested for money laundering. What’s that got to do with Nipsey Hussle? Nipsey Hussle appears to have believed the herbalist’s claims. Hussle’s song Blue Laces 2, from 2018 album Victory Lap, contains a lyric which references Bowman’s death. 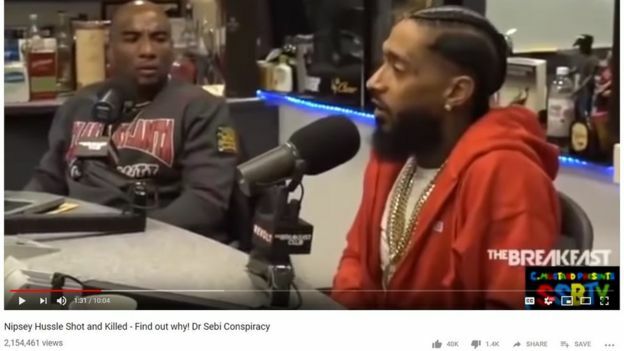 “They killed Dr Sebi, he was teaching health,” the rapper says. He was in the process of making a documentary about Bowman’s trial in the 1980s. “Can’t kill us all,” he posted on Instagram, alongside a number of videos – viewed millions of times – featuring the Honduran herbalist. 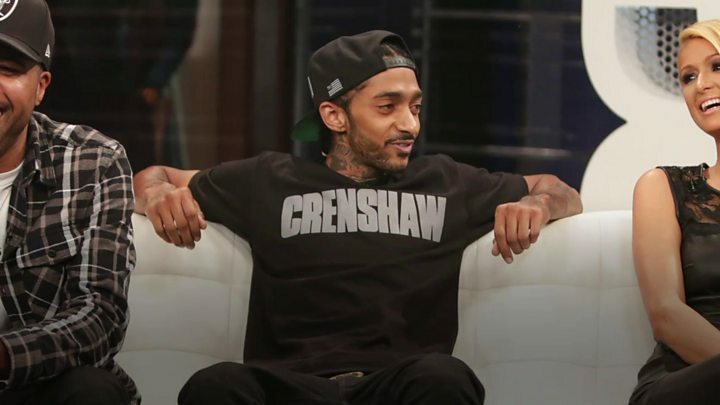 What really happened to Nipsey Hussle? Police are searching for a 29-year-old man, Eric Holder, in connection with the killing. Next articleMcDonald’s shines positive light on Black community with new campaign and we are here for it!